09.11.18 Always on the lookout for interesting chess-related information and stories, we bring you this article from the BBC Travel website Our Unique World. 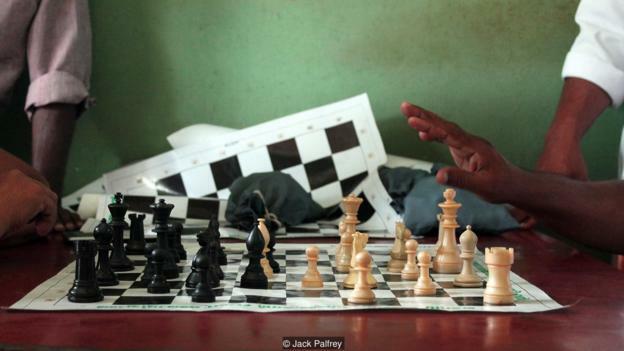 It's the story of a small village in southwestern India that has experienced a positive impact from the influences of chess. Our favorite quote from the article is attributed to the president of the Chess Association of Marottichal: "We don't watch television here; we play chess and talk to each other." On a chess board you are fighting, as we are also fighting the hardships in our daily life. Thanks to Haley DeLuca Lowell for contributing to this report.